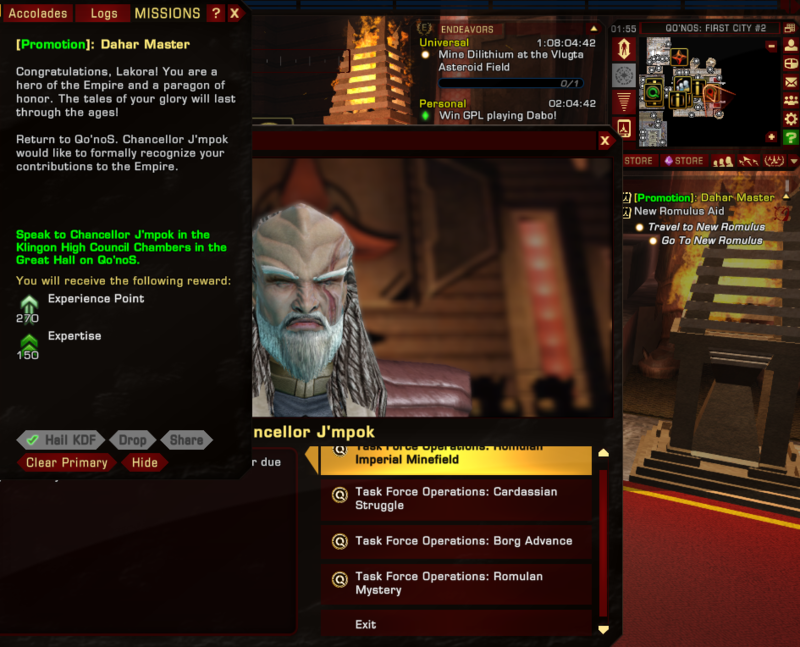 Cannont complete "Promotion: Dahar Master"
The mission text says for me to speak to J'mpok, i have done so and i can't go any further. I don't know what else to do i've been stuck on this mission for years. If anyone can offer a solution i would be thankful.